Be sure to grab the Sunday paper tomorrow! You’ll be able to use the coupons to get (2) FREE deodorants at Rite Aid. The deal runs 3/16-3/22. 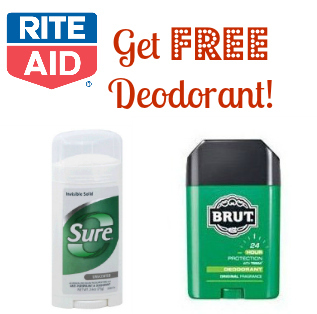 You can get FREE Sure and FREE Brut Deodorant. See all of the Rite Aid deals.